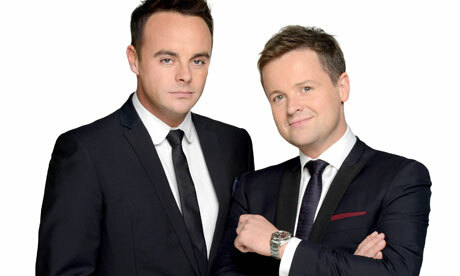 Ant & Dec are to host the 2015 BRIT Awards, ITV has revealed. This is not the first time the BAFTA award winning duo – whose full names are Anthony McPartlin and Declan Donnelly – have hosted the UK music event, having hosted the event in 2001. Ant & Dec, have had a varied career from Children’s TV actors in Byker Grove; a music career including fourteen Top 20 hits, most famously ‘Let’s Get Ready To Rhumble’ and the 2002 official World Cup anthem. As presenters they’ve hosted everything from Saturday morning kids show SM:TV to primetime hits including, Pop Idol, Saturday Night Takeaway, Britain’s Got Talent and I’m A Celebrity… Get Me Out of Here. Tracey Emin was recently unveiled as the designer of the coveted BRITs statue which will be given to the winning acts at The BRIT Awards with MasterCard on Wednesday 25 February 2015 at The O2. The event will be broadcast live on ITV.